The Enquirer/AMI obtained the photos while trying to blow an affair between Bezos and news anchor and media personality Lauren Sanchez wide open. While the tabloid did publish a piece earlier this year with excerpts of text exchanges between the two, Bezos has accused AMI and its chairman David Pecker of holding pictures of Bezos in a state of arousal as well as compromising photos of his girlfriend in reserve—then threatening to publish them unless he ended an investigation into who AMI’s source was. Initial reports indicated that AMI bought the material from Lauren Sanchez’s brother, Michael Sanchez, a Hollywood talent agent and allegedly a serial snitcher who had been a source for AMI publications before. However, Pecker’s ties to Donald Trump stretch back years, and he reached an immunity deal with prosecutors last year in exchange for information about how he used AMI and the Enquirer to buy up the rights to and then not publish negative stories about Trump. 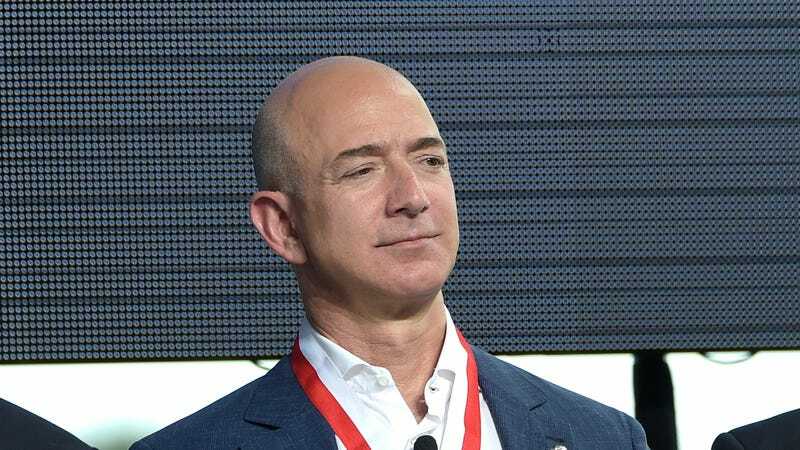 Bezos has hinted that Pecker could have been retaliating on behalf of Trump, who has a bizarre and mostly one-sided feud with Bezos, or the Saudi Arabian government, which tortured and murdered columnist Jamal Khashoggi of the Bezos-owned Washington Post last year.